Hours: Monday to Friday 9:00 AM to 5:00 PM with occasional night time and weekend work. PRIMARY RESPONSIBILITIES: Providing administrative support to the BTU staff specifically the Political Director and Field Representatives as well as Executive Board and Committee members, anticipating needs and being self-directed in an environment that can be fast paced and deadline driven. 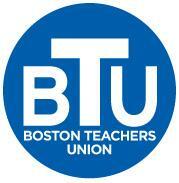 Perform other duties as required to support the Boston Teachers Union and its mission. Ability to keyboard 55-60 words per minute.